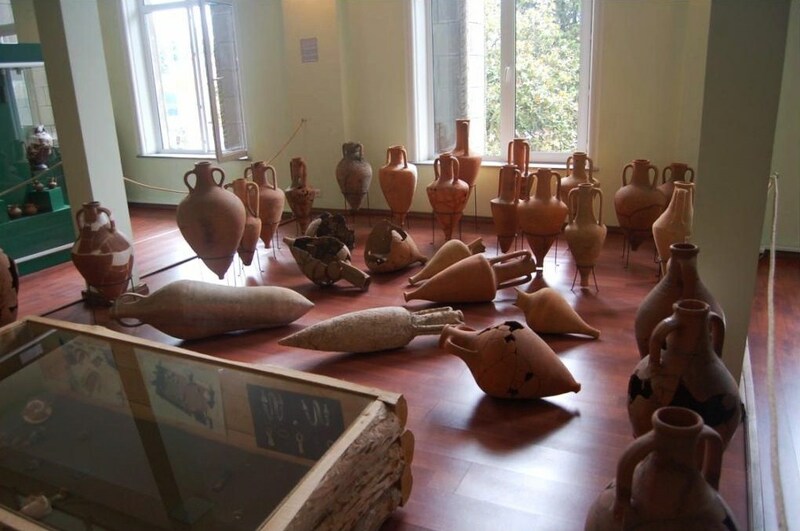 Over 28,000 items from the Bronze Age through to Medieval times are stored at the Batumi Archaeological Museum (ბათუმის არქეოლოგიური მუზეუმი). Opened in 1994, the museum introduces visitors to the ancient history and culture of Georgia’s Ajara region. 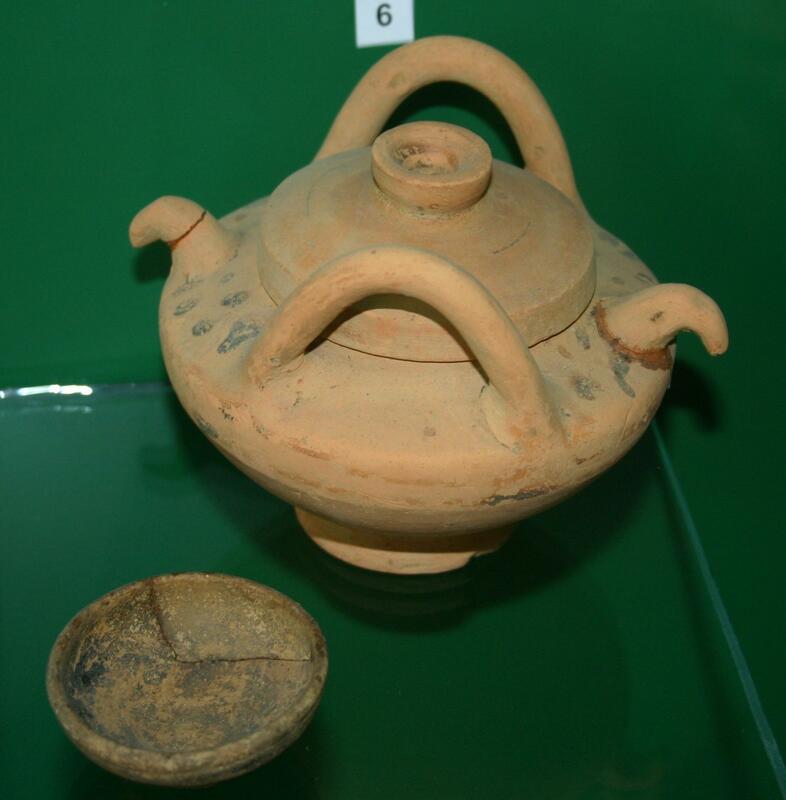 The museum’s principal collection consists of artifacts excavated at Pichvnari (Georgian: ფიჭვნარი) by the joint archaeological expedition of the Batumi Archaeological Museum and the Ashmolean Museum of the University of Oxford. 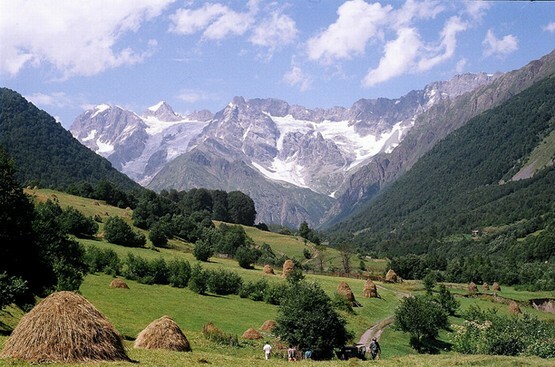 Pichvnari lies on the Black Sea coast of Georgia and was the site of a Colchian settlement that was occupied by Greek traders from the mid-fifth century BC. Pichvnari means “Place of the pine trees” in Georgian. 5th century B.C. silver bracelets found at the Greek/Colchian settlement of Pichvnari. Photo by Jonathan Cardy, via Wikimedia Commons. Salt cellar found at the Greek/Colchian settlement of Pichvnari. Photo by Jonathan Cardy, via Wikimedia Commons. 5th century B.C. beads found at the Greek/Colchian settlement of Pichvnari. Photo by Jonathan Cardy, via Wikimedia Commons. 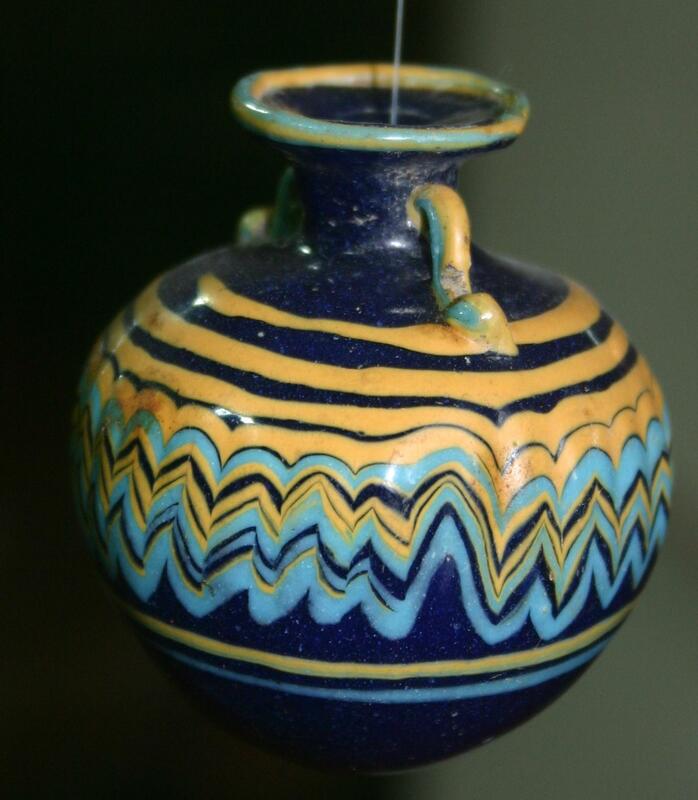 Polychrome glass perfume container found at the Greek/Colchian settlement of Pichvnari. Photo by Jonathan Cardy, via Wikimedia Commons. How to get there? 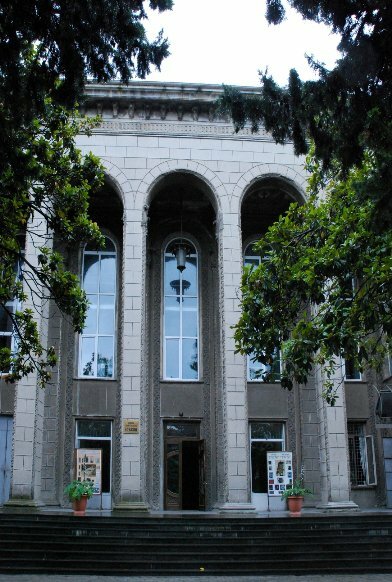 The museum is situated at 77, Ilia Chavchavadze str., Batumi in Ajara. Open daily except Monday,10:00 – 18:00. 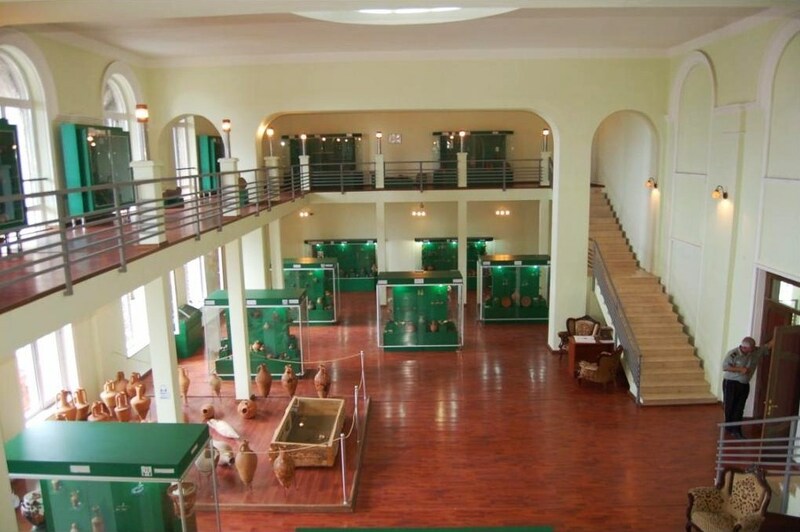 Georgia About recommends a visit to Batumi Archaeological Museum!